Come to our church and we will give you a warm welcome. Our desire is to share the good news of the Gospel with our friends and neighbours. 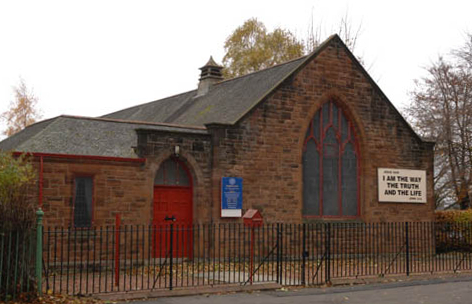 Our church is located at 361 Fulton Street, Knightswood Cross, Glasgow G13 2SP. The Assembly of Brethren who met there had become small and elderly and they kindly gifted their building to us for the proclamation of the Gospel in Knightswood and beyond. There is plenty of parking available on the roads nearby. Once again, we do warmly invite you to our church.